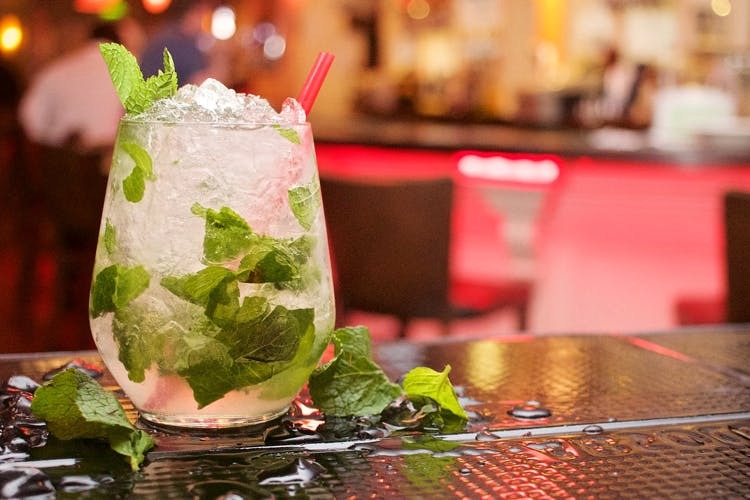 Minty, lemony and rum-my, mojitos feature high on our drinking lists, especially during the Delhi summer. And the fact that it contains both vodka and rum, only make it cooler. We did a small mojito trail and found some interesting flavours. Check them out. True to its name, LOTD does seem to have an insane amount of variety even when it comes to classic cocktails, and the mojito is no exception. They whip up a tropical version, a Scottish version, a strawberry and our favourite – the peach. 52 Janpath does mojitos in a bunch of interesting flavours. Of these, the pomegranate and red apple mojito, and the Monk and cinnamon mojito are our best picks. Pair these with the bacon-wrapped asparagus for a fun soiree. Harry’s does a pretty great job of mixing up a classic mojito, but if you’re up to trying something new, the orange and green tea mojito might be worth your while. If you’re looking to satiate your thirst and your sweet tooth at the same time, go for the cranberry mojito. HotMess keeps its mojitos simple and sweet. However, they serve theirs in a plastic pouch tied with a zip tie. Because, glasses are so passé? Next time you’re gorging on the delicious meal bowls at Mamagoto, pair your grub with the passion fruit mojito. No regrets. Molecule’s doing some fancy stuff with both their food and their drinks. If a mojito is what you seek, order the fig one or even the paan if you’re okay with slightly stronger tastes. Don’t forget to munch on some cold caramel popcorn while you’re at it. For you teetotallers, Phonebooth Café has the perfect drink: The Aam Panna Mojito. Refreshing with a hint of spice, it makes for a beautiful summer thirst quencher. Order the Nacho Chaat as chakna and just plonk yourself here for the evening. If you’re looking for virgin mojitos, you may also want to check out Diggin, QD’s and of course, KFC. Mojitos not your thing? Check out our LIIT list here and Sangria trail here.